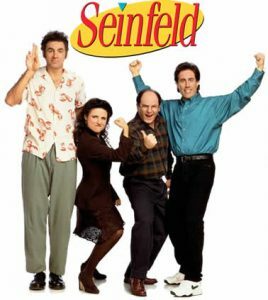 We can thank the Jerry Seinfeld Show for the “master of your domain” connotation that has become a part of the American lexicon. I won’t get into the bawdy definition of that phrase from the show here, but it’s base meaning — to exert control — can certainly apply to you as a domain name owner for your business or organization. Although costing just dollars a year, a business domain name is often a greatly overlooked asset of tremendous value that should be diligently maintained. When your purchase a domain name for your business, you will be fortunate to find an exact match of your business name ending in the “.com” Top Level Domain (TLD) ending. 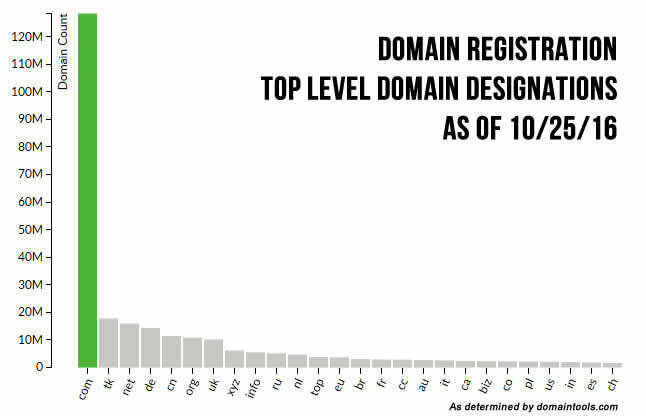 As of this month, nearly 130 million “.com” domains have been registered across the globe. 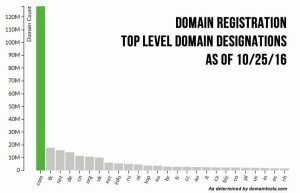 Dot com domain names are the king of the Internet, accounting for nearly one-half of all TLD domains registered overall; which is why if you are fortunate to have a good domain name, you need to master the protection of it. Make sure YOU own and control your domain. Seems pretty basic, right? But you might be surprised who could be listed as the Registrant of your domain. (Check here.) Avoid or thoroughly scrutinize “complete package” web development offers that include the cost of your domain. Many web design and development firms, especially some of the nationally-advertised firms, offer web development packages that include your domain name as part of the “complete package.” This may sound like a great deal, but the big question to ask is whether or not the domain will be registered in your name, and if so, whether or not you will have complete control over the settings for the domain itself. Think of it this way, would you buy an important piece of equipment for your company — perhaps a company car — and place ownership and control of it in the name of the company that services the car for you? Absolutely not! Likewise, your domain — an important company asset — should be in YOUR name and under YOUR control. This means an independent domain registrar account that allows you to make any changes to your domain at any time you like. This way your domain cannot be withheld from you as leverage if the working relationship with your developer/designer should go south at some point. Keep your credit card and contact email information up to date with your domain registrar. Again, seems pretty basic; but, I cannot emphasize this suggestion strongly enough. This is just a matter of discipline, perhaps by making a calendar reminder to verify your registrar account credit card and contact information on an annual basis. A couple of things can happen if your credit card and contact information is not current: (a) your domain name expires, goes into redemption and you will have to pay a hefty fee to recoup it or, (b) worst of all, your domain gets purchased by a “domain squatter,” who will extort a much higher fee — sometimes hundreds or thousands of dollars — for you can get your domain back. All the while your website and company email will not be accessible to you and your clients. So whether you have your domain registered with GoDaddy, NetworkSolutions or with Small Web Domains (me), be sure that you check your account information annually. Consider acquiring your domain name in “.net” and “.org” formats. For less than $30 per year, you can acquire the TLDs of .net and .org to correspond with your .com domain name. While this may seem an unnecessary annual expense, here are a few things to consider. If you have ownership of those domains, they cannot be used by your competitors in unscrupulous ways to divert traffic from your website to theirs. It also prevents an angry customer from using it to discredit or spoof your company. You can put those domains to work for private email within your organization that you might not want to make available to the public, or for marketing purposes to determine if your digital ad buys or special ad campaigns are really worth the expense. Just use your .org or .net domains for the click-throughs on the ads to track results. Thinking about having your existing site redesigned? You can use one of those domains as a temporary location for the new site until it is ready for launch on your .com site for uninterrupted service to your clients and customers. If you have questions about these suggestions, acquiring a domain or any other questions of a web design/development nature, please feel free to contact me and I will do my best to answer your questions. Thanks for reading!